Inadequate requirements specifications not understandable to users are one of the predominant causes of failure in the development of software systems today. Use cases are a reliable technique understandable to end-users (or business users) in order for them to be able to validate these requirements and verify whether these requirements are really what they need. On the other hand, it should also be suitable for software developers to specify requirements for developing software systems, which ensure the best practices such as, traceability and iterative and incremental development. Full UML Use Case Diagram notation such as actor, use case, extends, include, etc. 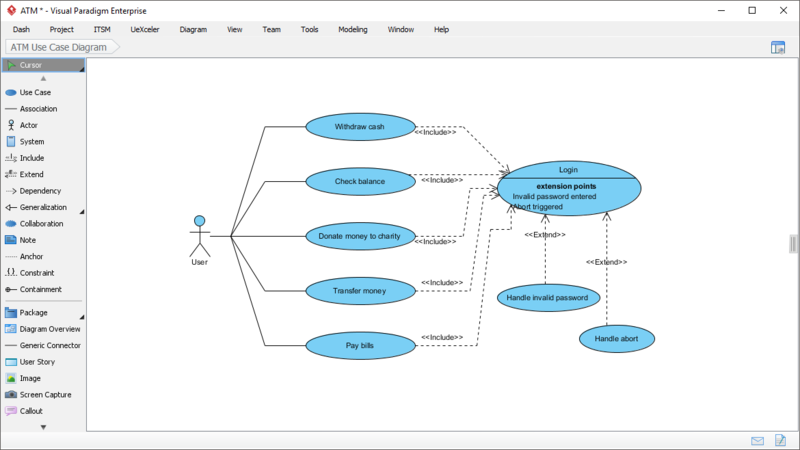 Quick Use Case Diagram tool - Resource Catalog. 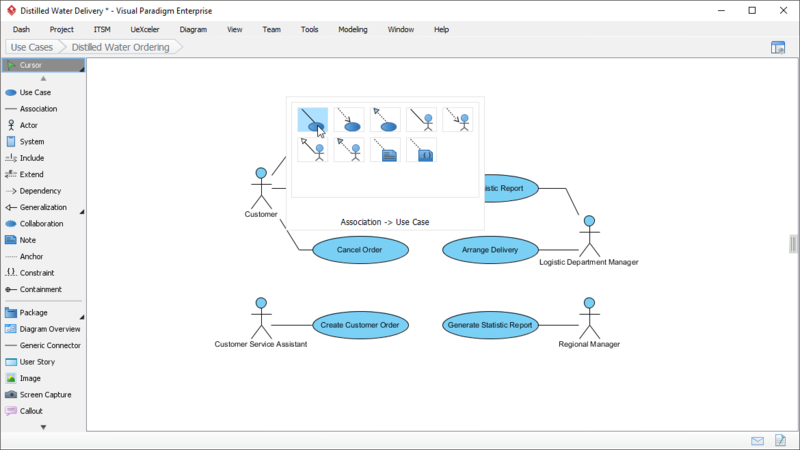 Quickly create professional Use Case Diagram with accurate UML syntax. Powerful scenario editor for describing the flow of a use case in textual form. The UML tool helps generate UML sequence diagram from use case scenario automatically. Besides sequence diagram, the UML generation tool also generates activity diagram from use case (scenario). Document how use cases shall be tested with by describing the testing procedure and expected result. Embed model elements (e.g. actors) in the use case description to maintain data consistency. 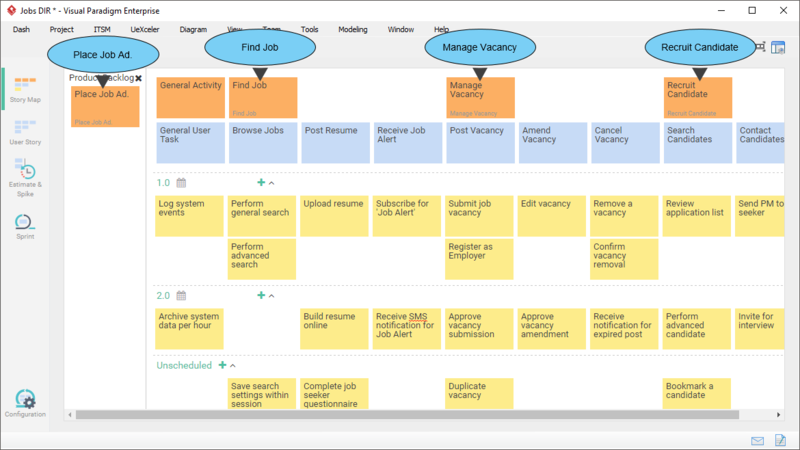 Use story map to refine use cases into the related user tasks, epics and user stories in a tidy and manageable structure. Each Epic in user story map can be further broken down into a set of user stories. 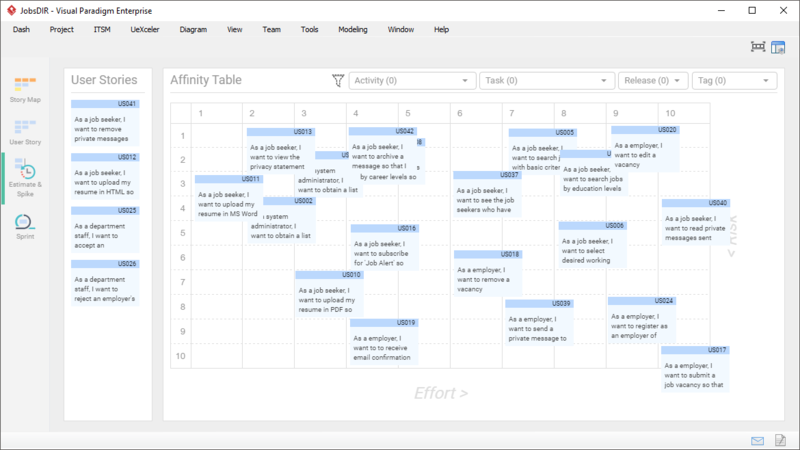 Estimating the story point and time required for each user story, with the use of affinity table. 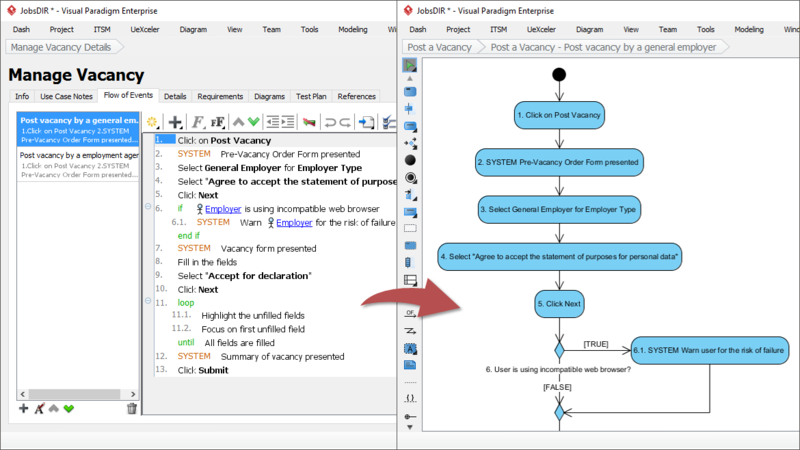 Support full use case diagram notation such as extends, include use cases, stereotype, annotation and etc. 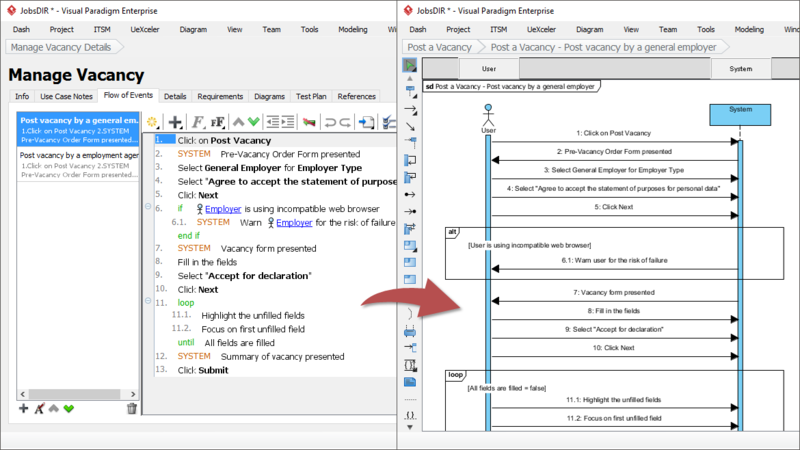 Add references, annotations, relating sub-diagrams to model elements, OCL, terms, rules, glossaries and etc. for enriching the diagrams. 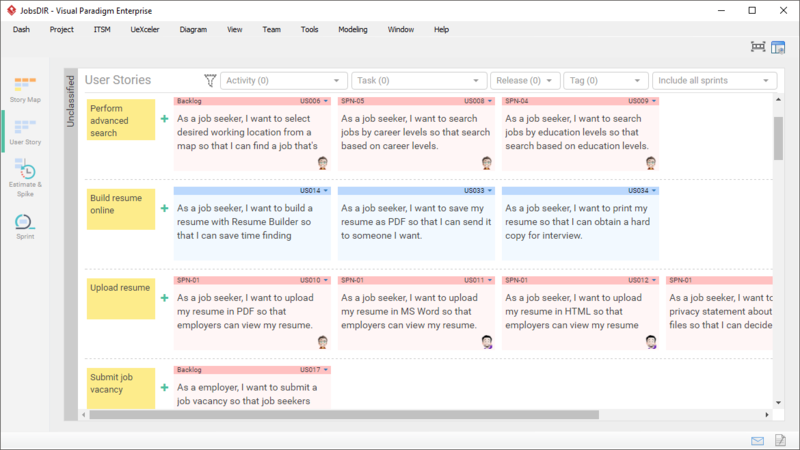 Refine use cases into the related user tasks, epics, user stories in a tidy and manageable structure using story map. How to create a User Story Map?